Let’s celebrate! 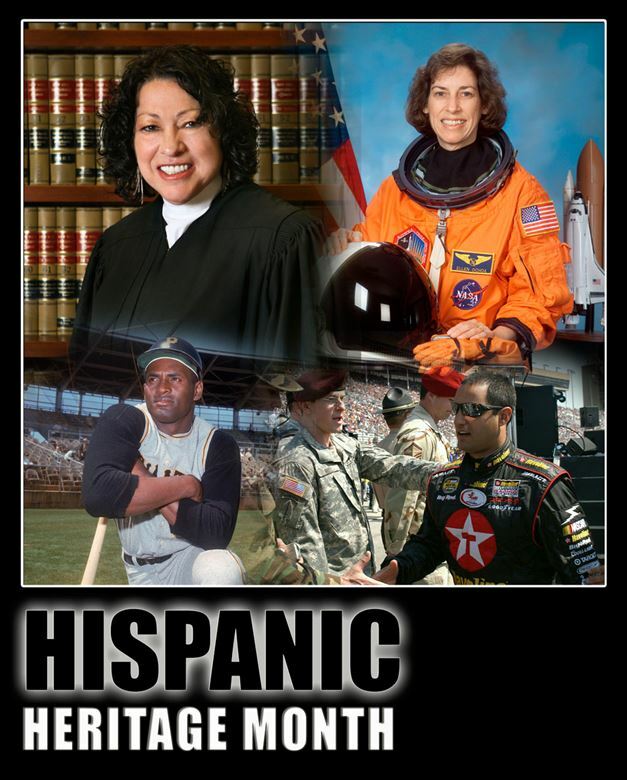 Hispanic Heritage Month comes every year, from September 15 to October 15. There’s tons we can do to celebrate, include our Hispanic patrons. Hispanic Heritage Month is about bringing everyone together to recognize all that Hispanic Americans have brought to American culture. Not sure where to begin? Let’s start at the top! There’s a multitude of resources for all, whether you are confident in your Spanish or not. The Library of Congress has a great page complete with its own calendar that you could adapt to your own programming. Remember, this is about inclusion. Make our Hispanic patrons feel welcome, and relevant! The Library of Congress site has something for everyone. Select from images, to multimedia, to lesson plans that are easy to adapt to children’s programming. The Smithsonian Latino Center has another wonderful page. I encourage you all to take your youngest patrons on a virtual field trip to this amazing museum! Not sure how to accomplish that? Got you covered with the Toolkit! Impress your friends when you tell them that you are going to take kids into a 3-D augmented reality and play some immersion games! There’s lots more, videos on demand, profiles, the arts, issues….the list goes on! Explore! Yes! You can do this! And it’s easier than you think. In fact, you don’t have to take my word for it. Scholastic has 24 free ideas waiting for you! And remember, you can pepper your existing programming with a Hispanic flavor, maybe a dash of poetry, a few vocab words here and there, how about a puppet show like Hace Calor from Sesame Street? Don’t just get your feet wet – jump in head first! And it doesn’t just have to be all Spanish. Remember that studying the Mayan or Aztec cultures “counts”, too. Hey! Why not study the Aztec alphabet using Omniglot? Do celebrate, have a fiesta, but also educate. Educating is critical to dispelling ignorance, fear and prejudice. The NEA has resources for children of all ages, just waiting for you! Make it meaningful! Of course, here’s your book list, totally up-to-date. Enjoy and please email me with any questions. I’d love to brainstorm with you! Start with Pura Belpré Award winners! This post addresses the following ALSC Core Competencies: I. Commitment to Client Group, II. Reference and User Services, III. Programming Skills, and IV. Knowledge, Curation, and Management of Materials.